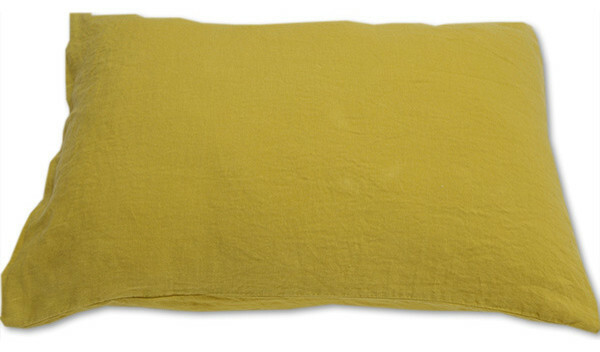 Elegant citrine pure linen pillow case. Fabric is prewashed and therefore very soft and pleasant to touch. Can be machine washed and dried in a drier at low temperatures. No ironing needed - the true beauty of this linen fabric is in its natural crumples. Also in optical white, natural, off white and slate. W 20.08" / H 35.83" / 6.35 oz.